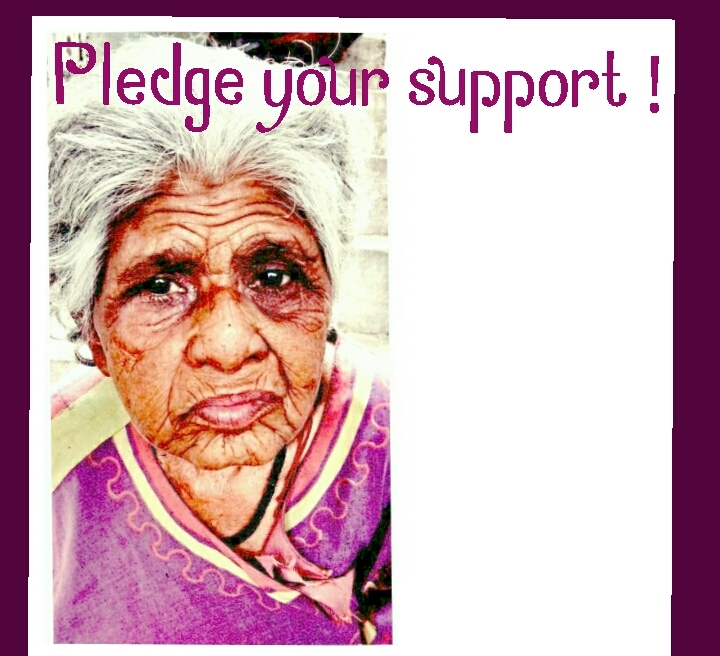 I am fundraising to support Destitute - Elderly_Sick_Disabled.#Pledge_Your_Support. Help the Abandoned Elderly who are also sick, old, and destitute.. Your involvement, and a small commitment to spare sometime, show empathy, concern, and to provide small financial help to those who are weak, starving and unwanted, can make the last years of these people better. Help them, and therefore the society…by so helping you also help send out a message that old parents are to be taken care of, and not to be left to die on roads! Old age will come to all…. 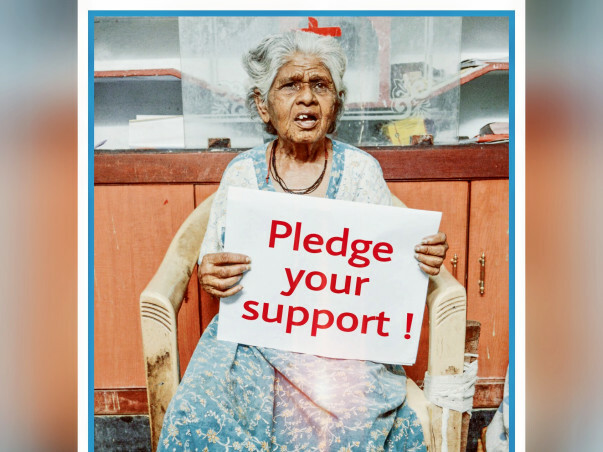 Pledge and contribute a small minimal amount of Rs 500 every month, for a year – and more, if you so wish. Spread the word amongst your friends and family…. Your contribution would go towards making a first aid centre, a mobile clinic, and a shelter for the homeless to stay. Greeting from Good Samaritans India. We are grateful for the support you have shown for the elderly welfare especially for their basic need though the campaign is not complete yet we could do our work we have rescued more than 183 people 49 people rejoined with their families. we congratulate for the Success Stories hope you continue to support us in the coming days also we have campaigns for the permanent shelter home coming up soon we request your support for the same. we performed 98 Last rites of the Homeless with due respect. We could trace 42 Homeless people's families and rejoined with them. 1.Apart from this we brought a HEARSE Van Especially for taking the last journey of the Homeless with dignity and respect as normal people does. 2. We got one more Marshal Jeep for rescuing homeless people from other district of the State ; Like Andhra Pradesh we did 7 Rescues from the district of Nellore, Rajamundry, Venukonda, jagtiyala, Mumbai, Surat, Maharastra and etc. 3. We have been featured in GAP One of the change maker in India out of 8 people. 5. Featured in leading News Paper about the work and the care given to the elderly abandoned. 6. We are able to give support to the Night Shelter Homes run by Govt. GHMC in taking care of the bedridden citizens around 20 people got shifted from the night shelters. 6.With the start of the New Home for the Mentally Disabled Homeless people getting good response as many of them of them are getting well and involving in our daily routine work ;, gardening , helping the other immediate inmates , we are looking forward to set up one more center in the coming day to cater the needs of the Homeless Mentally challenged people. 7. we could pay salaries to all the 11 full time staff for the 4 shelter Homes. 8.With the help of this campaign we were able to take care of the Panah a home for the elderly abandoned woman and other woman 26 woman are been adopted still more 81 Woman are to be adopted and help them survive. 9. By seeing our work in the city many other NGOs have started to call us to help the elderly in large which is giving us tough challenge for the accommodation for the same. from the bottom of my heart i thank all the people for their encouragement and guiding with support to help and set up Shelter Homes in every District with all your blessings and help for the vulnerable people.